Cerebral palsy falls in the category of neurological disorders that affect the movements. It is seen more in early childhood and is the commonest cause of childhood disability. The word cerebral means that it is a disorder of the brain and palsy indicates a kind of weakness or paralysis in muscles of the body. Cerebral palsy affects the area of the brain that controls the movements and coordination of muscles. If those parts of the brain are not developed right from the beginning then the child will have congenital cerebral palsy. When the onset of the cerebral palsy is after birth, it is called as acquired cerebral palsy. 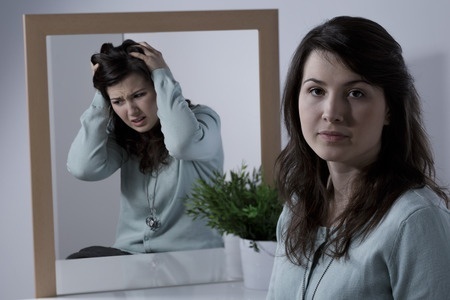 This disorder affects different people in different ways. In some people it may be just a mild muscle weakness where as in others it may be so severe that they may not be able to walk. It can be associated with normal intelligence or intellectual problems depending on the severity of the problem. Convulsions and seizures in the first month of life or immediately after birth. Bleeding within the brain due to a birth trauma or bleeding that occurs immediately after birth. Intracranial haemorrhage in the foetus if there occurs a stroke. Stroke can happen in a foetus during its life within the uterus mainly as a result of some bleeding disorder in the baby. A blood clot within the placenta can block the blood flow and lead to a stroke. If the mother has pre ecclampsia and other complications of high blood pressure which is not well treated, then it can lead to such complication in the baby. (a) During pregnancy: During your pregnancy, the diseases you contract have a direct effect on the health of the foetus. These risk factors explain what causes cerebral palsy in infants. Herpes infections which affects the nerves and the developing nervous system. It gets passed on from the mother to the baby. Bacterial meningitis that can lead to swelling in the tissues of the brain and spinal cord and cause neurological problems in babies. Cerebral palsy leads to poor muscular tone and strength as a result of which the contraction and relaxation of the muscles is abnormal. This is the main cause of the movement problems that are seen in cerebral palsy. Poor balance and sense of stability. The muscle groups that are very stiff, contract abnormally. This is called as spastic paralysis. The child may lie down in awkward positions and crawl as he is unable to walk. One side of the body may be used more than the other. The range of movements is also restricted. Delay in achieving the milestones like crawling, sitting and walking is one of the signs of cerebral palsy in a baby. Speech may be slurred if the muscles of the face are affected. Children will be slow in learning to speak and there will be dysarthria. 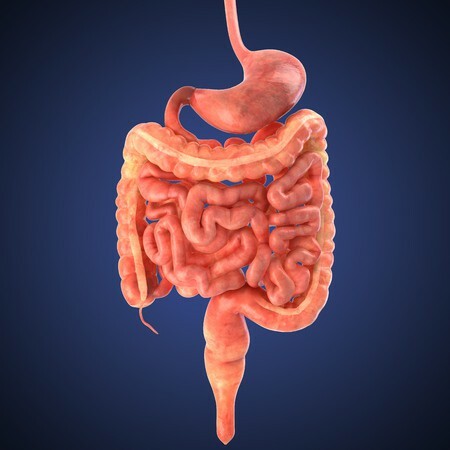 Urinary and bowel control may be affected. Recurrent urinary tract infections are common in people with cp disease because the pelvic floor muscles have poor tonicity thereby retaining large amounts of urine. This predisposes them to lower urinary tract infections. Most of the symptoms make their appearance within the first three years of life. Babies who are born with cerebral palsy have birth defects like abnormal curvature of the spine, a small head or small jawbone. These signs along with floppy or spastic muscle help to diagnose cerebral palsy. In most cases, the diagnosis happens around 9 months of age when the child is slow in achieving the milestones. The diagnosis is done mainly on the basis of symptoms and physical examination. Abnormal and involuntary movements occurring in babies less than four months of age are an important symptom to doubt a case of cerebral palsy. The muscle reflexes need to be examined carefully and the muscle groups that are most affected need to be identified. Once the diagnosis is established, further work up is done by means of CT scan or MRI. Magnetic resonance imaging (MRI) is preferred over CT scan as it can give more detailed results about other existing conditions like hydrocephalous, haematomas and malformations that may be congenital. 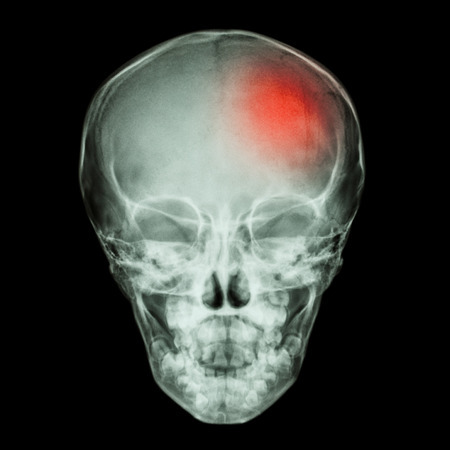 To rule out other disorders blood tests, ultrasound of the head and MRI may be required. 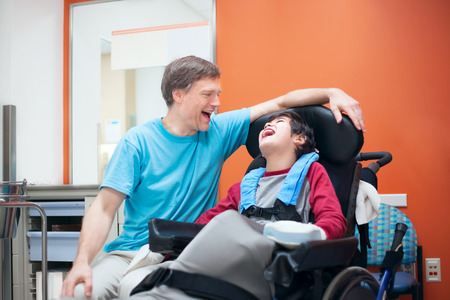 There is no known treatment for cerebral palsy but the main aim is to reduce the intensity of the symptoms and make the child more independent. The severity and complexity of the disease will vary in different persons with the same diagnosis. A doctor, speech therapist and an educational therapist work together in each case of cerebral palsy to help the child recover completely. Occupational therapy is mainly carried out to help the child carry out day to day activities like wearing his clothes and shoes, getting dressed and organizing his things. Fine motor skills are taught to the child to help him hold a pen or do tasks that need accuracy. Medications are given to control the abnormal muscle spasticity or flaccidity. If the child has convulsions, anti epileptic medications need to be given. Surgery may be needed to relieve the pain caused by tight muscles. If there are anatomical abnormalities, they need to be corrected. Cerebral palsy is a progressive disorder. The damage in the brain does not get worse but the conditions of the muscles and the symptoms get worse with time and can go to the stage of complete disability. Most children have normal intellectual growth. The level of gross motor ability in the individual decides the life expectancy.